On June 24, Brazil issued an ultimatum to the Illinois-based pharmaceutical corporation Abbott Laboratories that it must lower the price it charged for the AIDS medication Kaletra, or the government would move to break the patent and manufacture the drug generically in its own laboratories. Abbott was given ten days to respond with a more favorable price, and on July 9, media reports indicated that it had reached an agreement with Brazil. 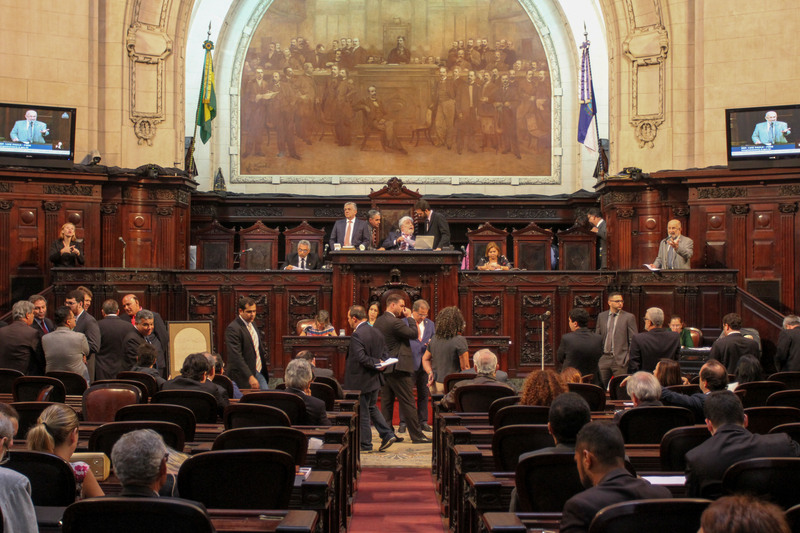 In spite of the apparent compromise, the wrangling over Kaletra is likely to produce reverberations in future relations between Brazil and U.S. administrations, with the latter being under increasing pressure by the U.S. Chamber of Commerce to assertively and extraterritorially defend the intellectual property rights of American industries. Brazil’s comprehensive AIDS treatment program, first introduced in 1996, has been extolled as a model to be employed by developing countries across the world in their fight against the disease. Dramatic statistical evidence indicates that Brazil’s efforts are worthy of the praise: in 1995, there were 12.2 AIDS deaths per 100,000 people, whereas in 2000, only 6.3 people per 100,000 were killed by the disease. According to the United States Agency for International Development (USAID), in 1998, Brazil had the second highest number of documented AIDS cases in the world. In 1995, the World Bank projected that in excess of 1.2 million people would be HIV positive by the year 2000. As a result of its Herculean prevention efforts, only 600,000 Brazilians, 50 percent of the projected figure, are now living with AIDS or HIV. The pillar of the program is the government’s distribution of free anti-retroviral drugs to 170,000 patients. In order to keep costs down, Brazil manufactures generic AIDS drugs in its state-owned plant Farma Manguinhos. However, Brazil cannot produce generic drugs at will; it is constrained by its obligations to the World Trade Organization (WTO), which it joined in 1997. As a member, it agreed to abide by patent laws in effect for pharmaceuticals, limiting its copying operations to drugs commercially distributed before 1997. Since the first AIDS medications were introduced, scientists have continued their search for more effective treatments. For drug companies, significant sums of money are expended on the research and development (R&D) phase of a medication’s proprietary life-span. Patents provide a drug company with the exclusive right to control the release of its product into the public domain for a predetermined time period. The fact that a corporation holding a patent is insulated from competition for a fixed period allows it to charge consumers a high price for a particular medication, even though its associated manufacturing costs are extremely low. Pharmaceutical companies justify this large windfall on the grounds that they, as for-profit entities, must recoup the money spent in R&D. The logical extension of this argument is that if companies are not sufficiently assured that their patents will be respected, they will not bother to develop new medications as there will be no financial incentive to do so. The Brazilian government believes that its AIDS problem is sufficiently grave to constitute a national emergency in accordance with the Declaration, providing it with reasonable grounds on which to break the patent held by Abbott. Unsurprisingly, this is not the view held by Abbott, American and European pharmaceutical companies, and other professed defenders of intellectual property rights. Many observers claim that the passage of the legislation, with its implication that the patent would be broken and a license fee paid, was nothing more than a negotiating tactic employed by Brasília to force Abbott’s hand. Most likely, there is more than a grain of truth to this explanation. Since the Doha Declaration, no pharmaceutical patent has been broken. For the majority of developing nations, a cost benefit analysis would reveal that breaking a pharmaceutical patent is not worth the inevitable punitive economic backlash from the United States and its private sector allies. As personnel from Abbott Laboratories strategized behind closed doors, their private-sector affiliates and the think tanks which they help fund employed the OP/ED pages of the Wall Street Journal and Washington Times to launch broadsides against the Brazilian government. Robert Goldberg, Director of the Center for Medical Progress at the Manhattan Center, a prominent rightwing think tank, discounted Brazil’s argument that it intends to break the patent to make medications affordable, because its AIDS infection rate of 0.6 percent is roughly equivalent to that of the United States at 0.5 percent. Similarly, Mary Anastasia O’Grady, perhaps the U.S.’ most reactionary columnist today, writing in the Wall Street Journal, posited that Brazil’s breaking of the patent will have disastrous effects on both its economic development and future R&D for needed vaccines. She scathingly grouped Brazil’s efforts to protect intellectual property with those of traditional Washington pariahs Iran and Cuba, as well as the recently disfavored Venezuela, in her latest fulminations. Goldberg and O’Grady examine AIDS from a calculating, detached perspective, much like the analysts that refer to civilian war casualties as “collateral damage.” Yet, even a cursory examination of relevant economic statistics can quickly discount Goldberg’s comparison of Brazil to the United States. Brazil’s GDP per capita for 2004 was estimated to be $8,100 compared to the United States’ $40,100 for the same indicator. Moreover, according to USAID, Brazil’s income distribution “continues to be among the world’s worst.” In 2003, the Economist reported that the poorest fifty percent of Brazil’s population accounted for only ten percent of the national income. Just as Brazil lags far behind the United States in terms of economic clout and wealth distribution, its infrastructure very much reflects the skewed condition of a developing country. Fifty million of Brazil’s 186 million inhabitants live in the rural areas while millions more impoverished citizens reside in urban favela shanty towns. With the exception of agribusiness barons and their servitors, those who live in Brazil’s countryside are desperately poor and many are forced to survive on less than $1 per day. The Brazilian government, as part of its AIDS treatment programs, spends $2500 per year per patient for drug cocktails, including a total of $107 million annually on Abbott’s Kaletra. Taxpayers in Brazil, as in any other country, are entitled to expect that the government act as a responsible steward of public money. If the government could spend less while maintaining the high quality of its AIDS programs, then it behooves it to explore any such option. Specific details of the deal reached between Abbott and the Brazilian government have not been announced, but the annual amount that Brazil pays to Abbott will be frozen for the next six years, allowing for $259 million to be saved. Many of the hysterical ululations coming from the property rights lobby accuse Brazil of “drug patent theft” (copyright O’Grady and the Wall Street Journal). Yet, although Brazil does not seem poised to break Abbott’s patent, many would argue, as the New York Times did in a recent editorial, that the South American nation was working within the rights accorded to it as a member of the WTO. If Abbott genuinely believed that Brazil was acting in violation of WTO rules, then it likely would not have backed down over the perceived hijacking of its intellectual property. Or, even if Abbott was aggrieved over Brasília’s actions, the company made a pragmatic decision to retreat from a direct confrontation. It is in the above context that Abbott’s decision to broker a deal with the Brazilian government must be analyzed. In 2004, Abbott’s net sales were $19.6 billion – an amount far in excess of the GDP of many small nations. On July 14, the Financial Times quoted Abbott as saying that its “Brazilian business was small compared to worldwide sales of Kaletra” and that it “continued to expect good growth for its Aids treatments.” Therefore, it seems as though the revenue generated by Kaletra in Brazil represents little more than a drop in the bucket for Abbott. The company is performing well financially and globally; its net income for the second quarter of 2005 was up 38 percent from the same period last year. The role of pharmaceutical companies in AIDS treatment programs is an extremely sensitive topic. If Abbott had refused to compromise with the Brazilian government, then it could have become embroiled in a controversy that would have generated substantial negative publicity that shareholders and executives would certainly wish to avoid. Moreover, by appearing flexible in its dealings with Brazil, Abbott feels that it has enhanced its reputation for “global citizenship,” a quality with which the company, as its website suggests, is keen to be associated. ← Who’s Afraid of the Haitian Media?